Barry James Orchestra And Singers. 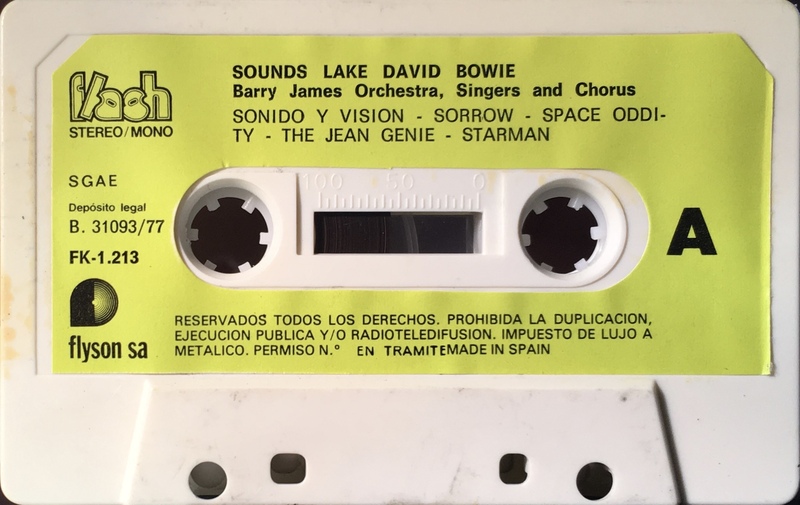 ‘Sounds Like David Bowie’: Spain; Flash, FK 1213; 1977. Compilation album featuring ‘The Barry James Orchestra and Singers’ performing David Bowie songs. Jimmy O’Connors’ name features on the front cover and may be the principal vocalist. Cover panels on thick paper with track list on the rear and inside half-panel. Black ink printed onto green label on white shell. 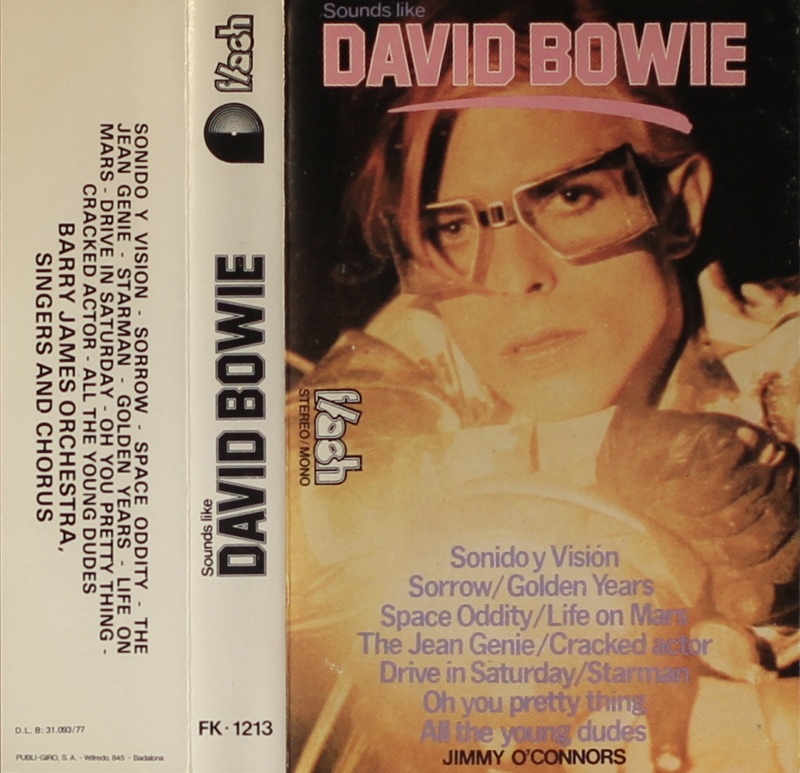 Side 1: Sound And Vision; Sorrow; Space Oddity; The Jean Genie; Starman. Side 2: Golden Years; Life On Mars; Drive-in Saturday; Oh You Pretty Things; Cracked Actor; All The Young Dudes.